Axalta's Tufcote coatings are designed to protect rail assets and transportation equipment from chemical and corrosion damage, weathering, and chipping, while still maintaining a beautiful finish. Photo courtesy of Axalta. 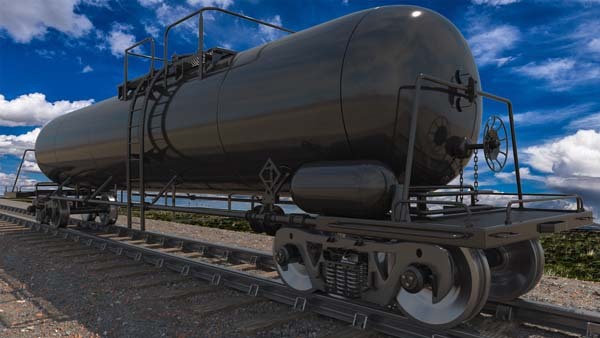 HOUSTON–A new group of high performance, protective coatings from Axalta Coating Systems is formulated to meet the needs of the industrial rail car and transportation industry and to deliver superior protection when applied to properly prepared substrates. Axalta recently introduced its new collection of TufcoteTM Protective Rail Car coatings, a product line that includes easy–to–apply, high–build coatings, the company said in a press release. "Rail car and transportation maintenance structures are constructed to last and need a tough, durable finish to ensure their sturdy build stays intact," said Michael Heineman, Axalta's vice president of rail and high performance coatings, in the release. "Our new Tufcote line's formulations and field proven technologies yield lasting results, improving the durability, protection, and aesthetics of these substrates over time." Axalta (www.axaltacs.com) is a global company that provides coatings for use on light OEM vehicles, commercial vehicles, and refinish applications, as well as on electric motors, buildings, and pipelines. The coatings are designed to prevent corrosion, increase productivity, and enable materials to last longer. Axalta's expansion into the industrial rail car segment aims to provide the industry with cost–effective products that are designed to protect rail assets and transportation equipment from chemical and corrosion damage, weathering, and chipping, while still maintaining a beautiful finish. Tufcote protective coatings are well–suited for use on railcars, steel storage tanks, and heavy equipment, according to Axalta.